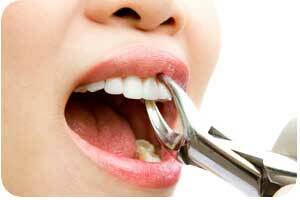 Tooth extraction is custom dental treatment that helps prevent more serious dental issues. The most common tooth extraction is usually wisdom tooth extraction, but dentist may also remove a tooth if it's coming in at an angle, menacing the position of other healthy teeth or lead to overcrowding in the mouth. A broken tooth also needs to be extracted, as well as teeth with significant tooth decay that cannot be treated by a root canal. 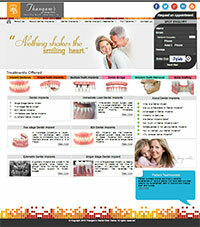 Patients with advanced gum disease may be considered for tooth extractions as well. As with any optional dental treatment, it's important to discuss the cost of tooth extractions with your dentist. Tooth extraction cost depends on the details of your case, but in general, the more difficult a tooth is to remove, the more it costs. Whether having a wisdom tooth extraction or a tooth being removed due to decay, feeling a little anxious about tooth extraction pain is explicable. Although tooth extractions are one of the most straightforward oral surgery procedures, it's still dental surgery. One way to relieve your jitters is to learn what's involved. Most tooth extractions take just a few minutes. To reduce tooth extraction pain, you'll receive local anesthesia to numb the tooth, jawbone and surrounding gums. If especially anxious about experiencing tooth extraction pain, sedation dentistry can be used to help relax. Your dentist or oral surgeon will begin by rocking the tooth back and forth, and then rotating it to widen the socket for easier extraction. As the pain receptors have been numbed, one may sense a dull pressure, but shouldn't feel any tooth extraction pain. When the tooth is fully detached, the dentist will remove it and cover the exposed gum with a small piece of gauze.